October has been such a fun month—thankfully, it isn’t over yet! With Halloween in just a few days, we thought we’d share some Harvest-themed projects for your enjoyment; projects that feature the one-of-a-kind Pink & Main products! I just have to say; we have thoroughly enjoyed working with Michelle and her team of amazing crafters (some of which are on our team as well!). 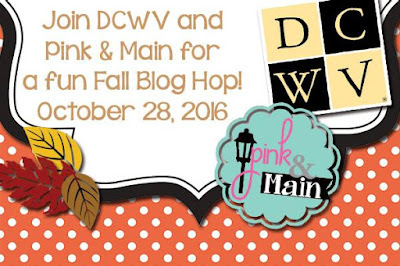 They have made this blog hop a winner already! Then to see the variety of projects everyone created…I can’t wait to hear what you think! So, without any further delay, please take a look at what our designers and what they have created for your enjoyment and inspiration. Once you get back to our blog, please leave us a comment below on what you enjoyed most (design, product, both), and you’ll be in the running for a giveaway! 3 people will be chosen at random to win a free Christmas stack! Hello Crafty Friends!! We hope you are enjoying the blog hop so far!! If you just came from my DT Sister, Beth Fiscus' blog, then you are in the right place!! Thank you so much for joining us today and stooping in on my blog for a visit!!! I really love both wonderful companies!! I'm one a the few that are lucky enough to be on both teams!! And both of the companies are AMAZING!! And so are their products!! I'm absolutely thrilled to be participating in today's hop!! 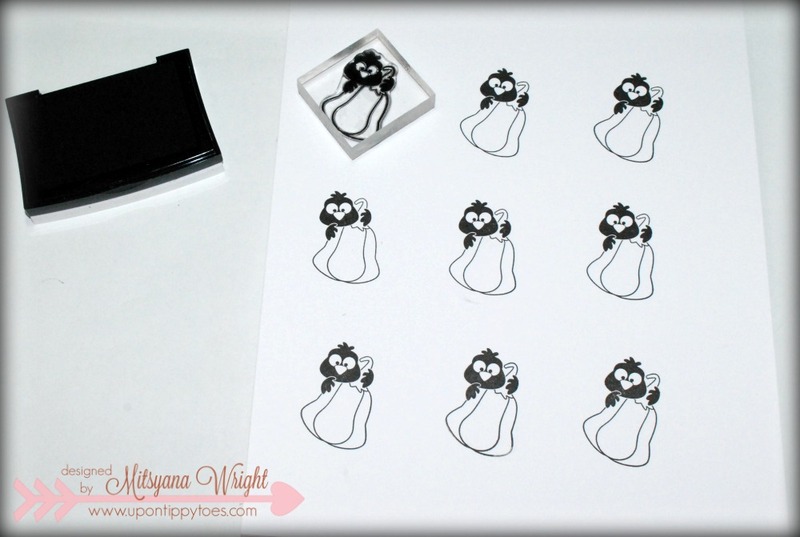 I started my project by stamping multiple images onto mixed media paper using Versafine Onyx Black Ink. Then, I outlined my image with my image also adding in shading with just short flicking strokes. then I took a water brush and activated the the ink with water and blended out the color. 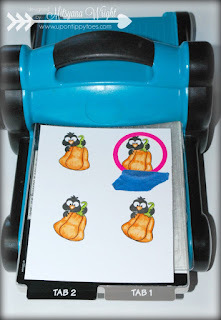 I trimmed down my sheet to fit int my die cut machine, then used my (not yet to be release) Stitched Circle Dies from Pink and Main, to cut out my colored images. 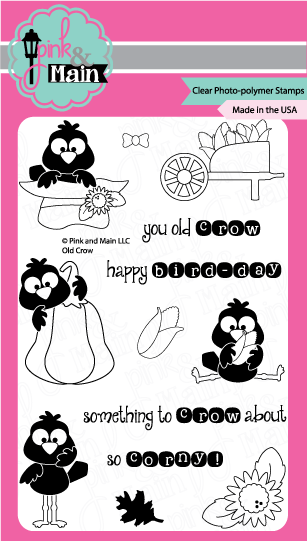 I also die cut some scalloped Circles to layer my crows onto. 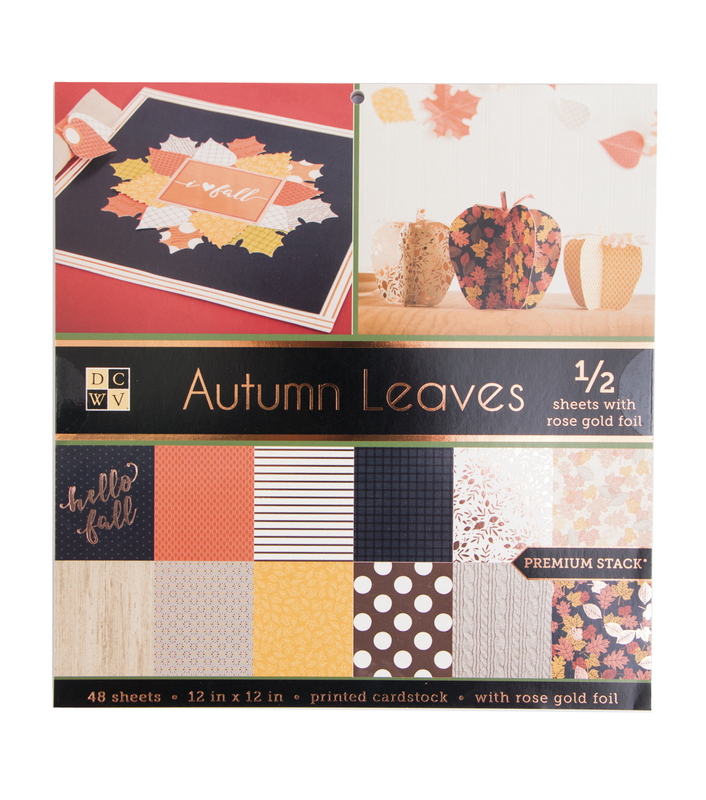 This beautiful green polka dot paper if from DCWV's Autumn Leaves Stack. I ran my stitched circle through my 3" Xyron Sticker Maker, and layered it onto a scalloped circle die cut. 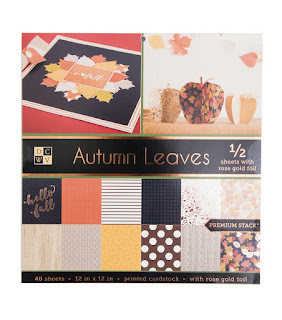 Using more coordinating paper from the Autumn Stack, I cut out multiple treat boxes and folded along the seams. 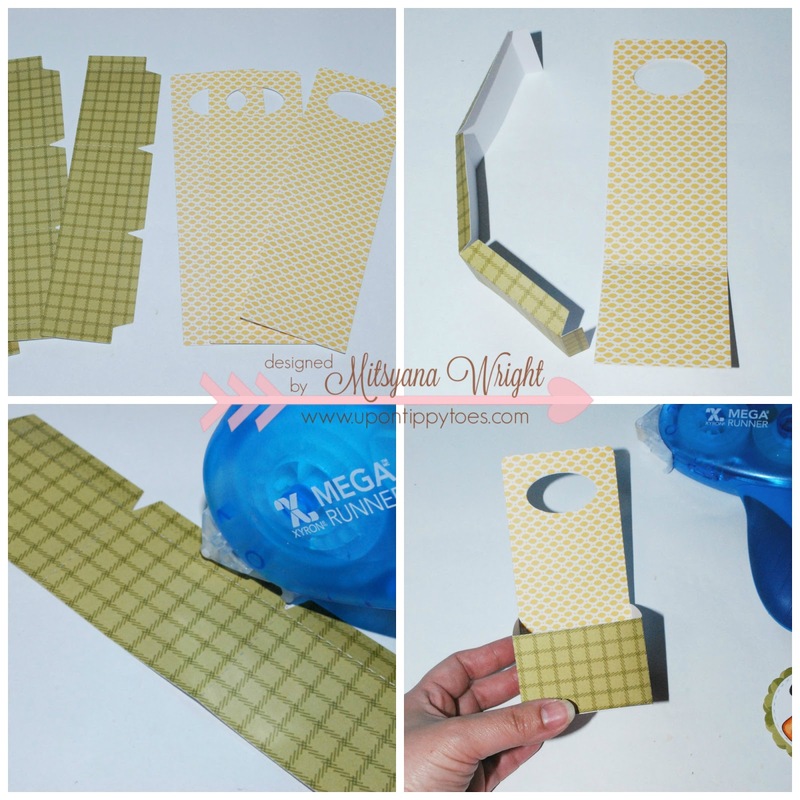 Then applied adhesive onto the flaps and adhered and assemble my treat boxes together. 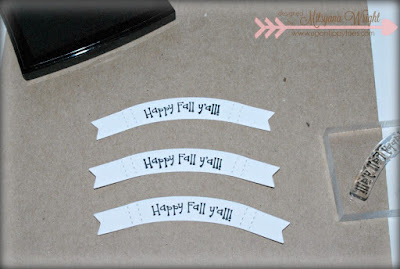 Then I die cut out little banners from scraps from my mixed media paper and Onyx Black ink I used earlier. Then I stamped "Happy Fall Y'all" onto each banner. 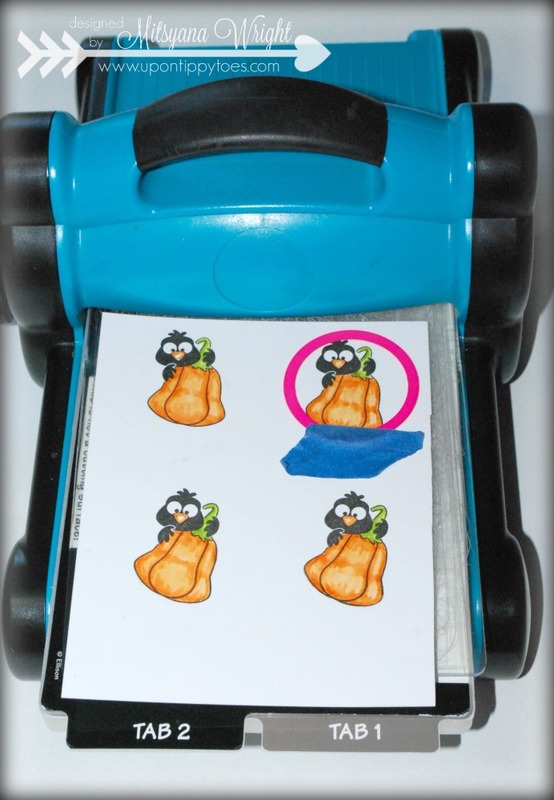 The awesome thing about these being clear stamps ... I can see where I'm stamping AND I can bend and manipulate the shape of this die. Notice how I was able to slightly bend my words and follow the curve of the banners. Once the ink was dried on the banners, I attached them to the front of each box. Then attached my scallop circles to the back panel with the handle. Then finally, I added twine bow offset to one side and filled my carrier box with candy. I hope these projects have inspired you to be creative!! And, don't forget to visit my other DT sisiters!! For more amazing creations!! Adorable treats Mitsyana! I love your coloring (as always), it looks so amazing! 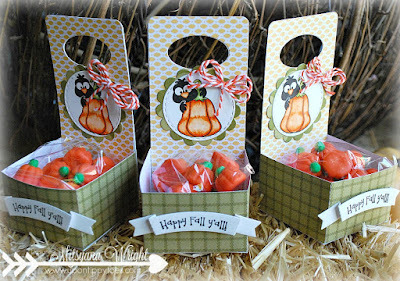 The treat boxes are absolutely fabulous, thanks for sharing the tutorial! Wow!! These are awesome! Love the papers and colours! Great job colouring the image!! Your little treat boxes are so adorable! I love the sweet little stamp that you used. These boxes are so cute! Love those papers and fabulous coloring! 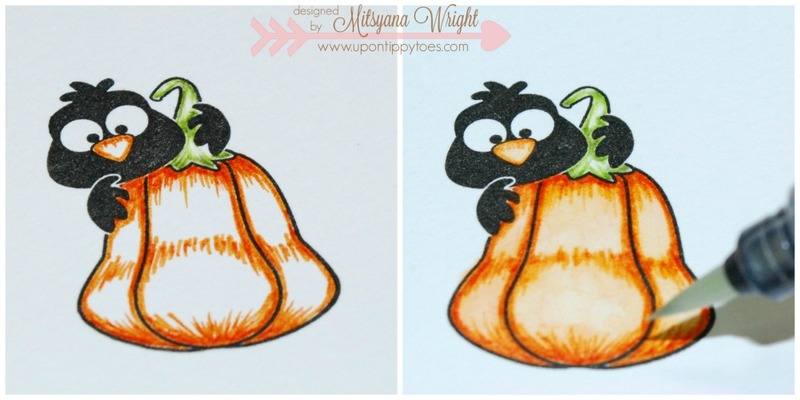 adorable Mitsyana! soooooooo inspiring ! I love your coloring!! Awesome project!! Amazing treat boxes love them!! Adorable treat boxes!!! Thanks for the inspiration. So super cute and super sweet!!! Your coloring is so beautiful!!! Super cute treat boxes Mitsy! Great coloring and tutorial as well! Awesome as usual girl! Love them! How adorable! I love getting ideas for treat containers! Wow! You definitely did inspire me! Those boxes are too adorable!!! These treats are too cute. Totally sweet treat carrier boxes. I always love your creations & coloring because both are forever beautifully completed. Super sweet treats!! I love the fun carrier box, DP and coloring! Those treat boxes are darling! Nicely done! Your treat boxes are fantastic!! I love the papers and all the fun details! The little pumpkins are awesome~great coloring! Your treat holders are adorable. The recipients will be delighted. I love your wonderful treat boxes! I love these boxes and those stamps! Great job! SUPER CUTE and TASTY treats!!! 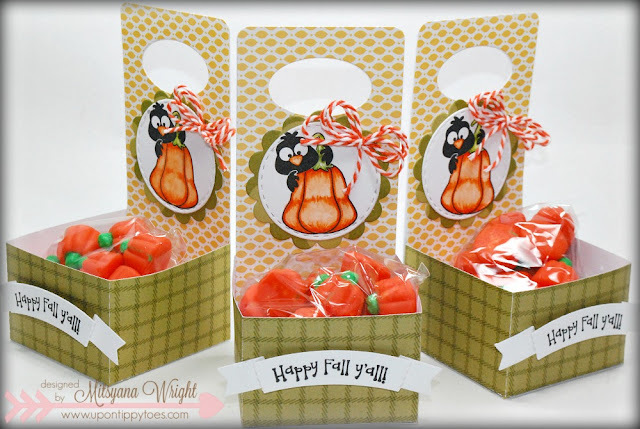 These little treat boxes are just perfect for this time of the year and the banner is so cute. those turkeys are too cute!!! Fabulous project! I love creative packaging. These are darling. Great job as usual, Mitsyana! Beautiful and fun little treat boxes!